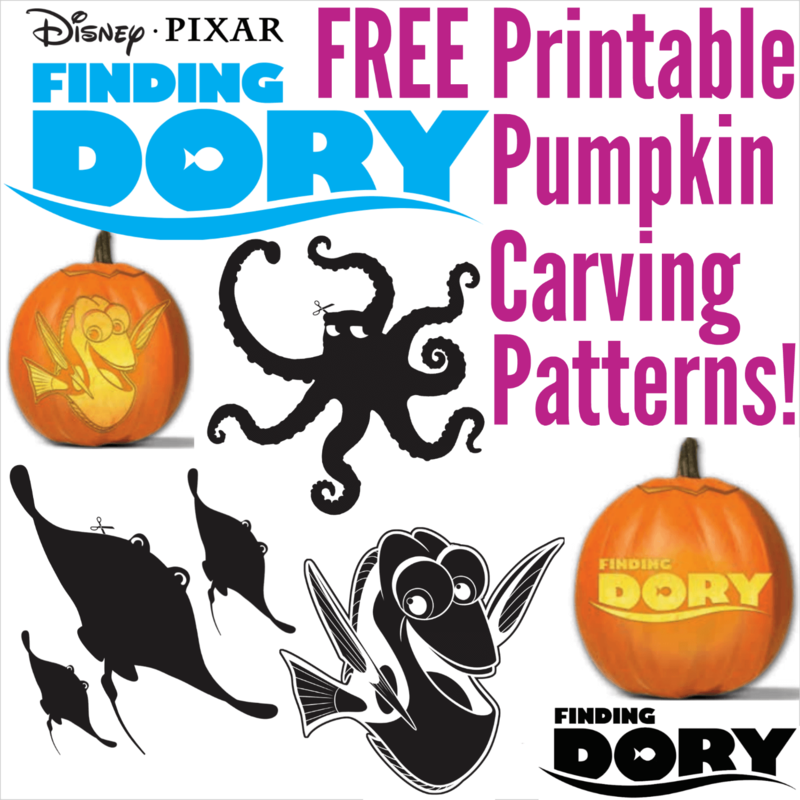 Free FINDING DORY Pumpkin Carving Patterns to Print! It's no secret that I love pumpkin carving patterns, and today I'm updating my collection with printable Finding Dory pumpkin carving patterns! 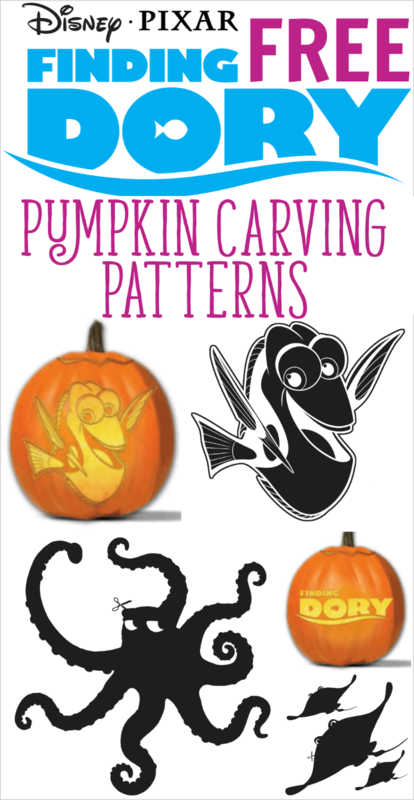 Scroll down or click Read More to get to the Finding Dory pumpkin stencils. First, visit my post with over 700 free pumpkin carving patterns. 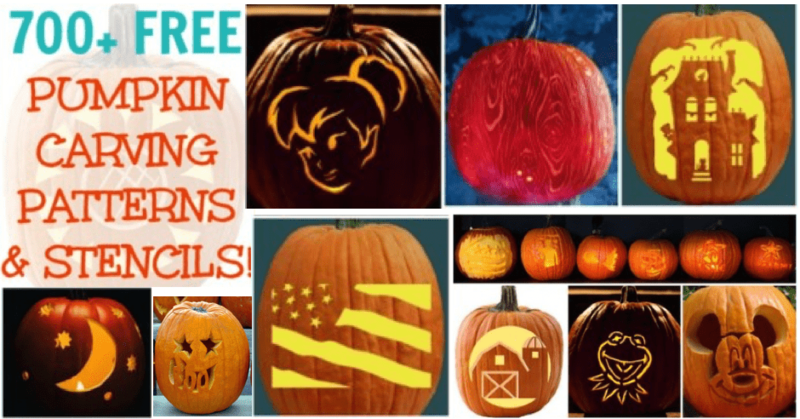 Then check out over 130 free Disney pumpkin stencils. Disney fans are sure to find something with a favorite Disney princess or other character! 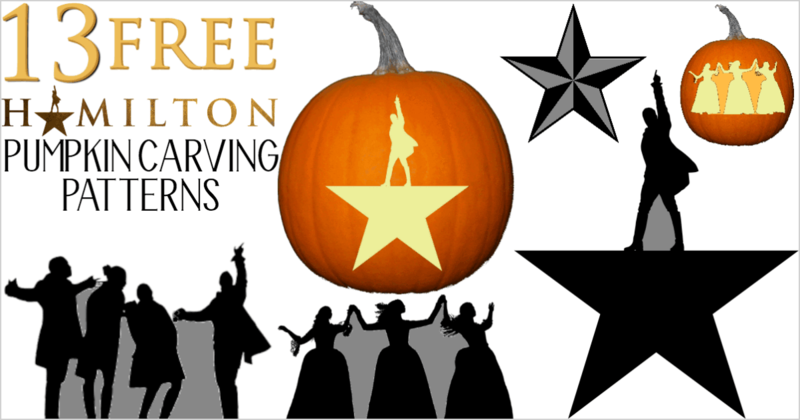 Finally, I made 13 original Hamilton pumpkin carving patterns. What can I say? I'm a big fan of the show! Finding Dory will be available on digital HD on October 25th and on Blu-ray and DVD on November 15th. You can pre-order the title today and it will be available on the release date! From the Academy Award®–winning creators of Disney•Pixar’s “Finding Nemo” (Best Animated Feature, 2003) comes an epic undersea adventure filled with imagination, humor and heart. When Dory, the forgetful blue tang (Ellen DeGeneres), suddenly remembers she has a family who may be looking for her, she, Marlin (Albert Brooks) and Nemo (Hayden Rolence) take off on a life-changing quest to find them … with help from Hank, a cantankerous octopus; Bailey, a beluga whale who’s convinced his biological sonar skills are on the fritz; and Destiny, a nearsighted whale shark. Directed by Andrew Stanton and co-directed by Angus MacLane, the film is produced by Lindsey Collins and executive produced by John Lasseter. 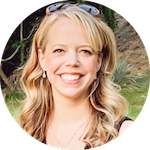 Victoria Strouse wrote the script with Stanton. I'll have more to share on all the extras and bonus features included with the Finding Dory Blu-ray, but right now I want to share the Finding Dory pumpkin stencils! 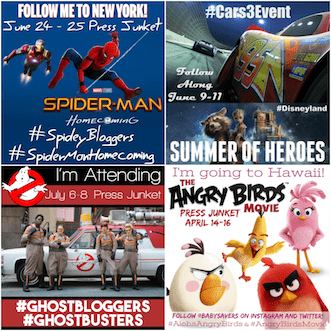 All the printables available here were made by Disney and given to me to share with all of you. Click here to get your free printable Finding Dory pumpkin carving patterns just in time for Halloween! There are several available, but I have to say that Dory is my favorite! 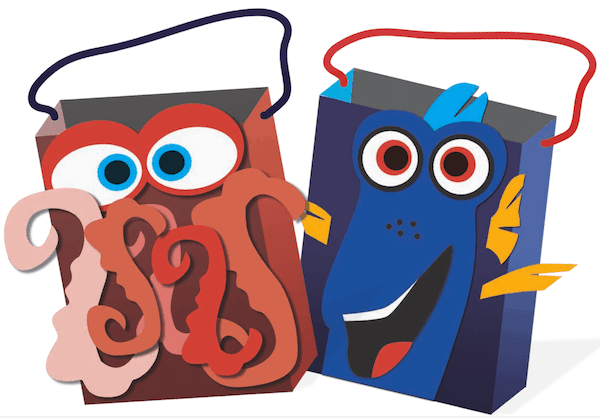 The packet also contains other Finding Dory Halloween activities, including instructions for how to make Halloween luminary bags and Disney trick-or-treat bags! I actually carved my own Finding Dory pumpkin last week when I met with a master pumpkin carver at Walt Disney Studios. I'll be sharing all the details tomorrow, including some fantastic pumpkin carving tips! 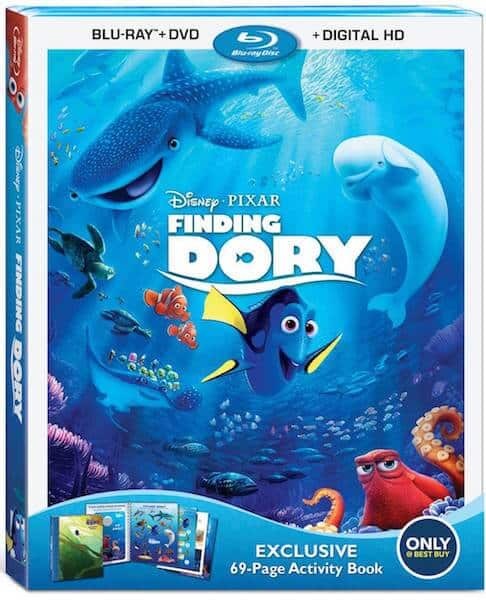 Order Finding Dory on Blu-ray, DVD and digital HD today! Share these Finding Dory pumpkin carving patterns by saving on Pinterest! Just hover your mouse over the image below and click on the red SAVE button. Disclosure: Disney flew me to LA to learn more about the in-home release of Finding Dory and several other topics. Thank you to Disney PR for providing the Finding Dory pumpkin carving patterns.